Few places are as tightly linked with liquor as the Crescent City. It’s the birthplace of several notable cocktails—the Sazerac and the Ramos Gin Fizz among them—and Bourbon Street is the nation’s greatest urban thoroughfare devoted to free-range imbibing and dubiously colored cocktails. New Orleans also hosts Arnaud’s French 75, just a few steps off Bourbon Street, named the most outstanding bar program in the nation at this year’s James Beard Awards, proving the city can do sophisticated cheek by jowl with sloppy. The city’s focus has nearly always been on the consumption of liquor and beer—rarely on their production. Historically built on trade, not manufacturing, the city rose to prominence and wealth as the transfer point between Mississippi flatboats and oceangoing sailing ships. 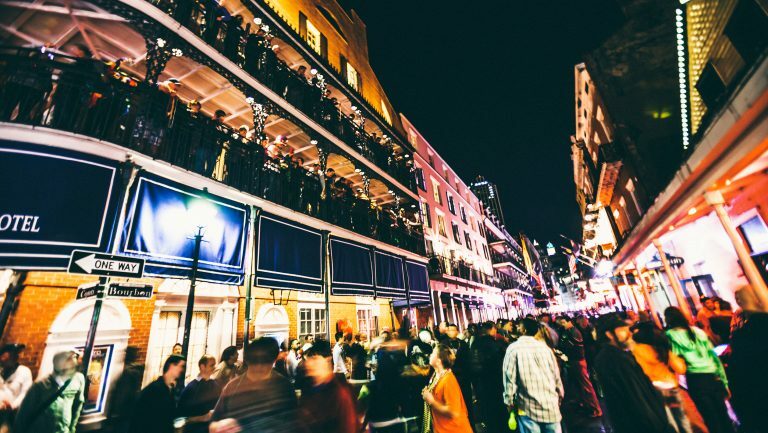 In more recent years, New Orleans has evolved into an economy that markets experiences for tourists. Alongside this influx of visitors, production has begun to move to the forefront—more than a dozen breweries and distilleries have appeared in the city’s cultural landscape over the past half-dozen years. Much of this may simply be a reflection of nationwide trends—some 816 new small breweries and brewpubs opened their doors last year alone, and there are currently more than 1,300 craft distilleries across the country, up from just a few dozen in 2004. But New Orleans has qualities that have lent it its own peculiar sort of gravity, attracting those looking to get a toehold in the quality adult beverage industry. Here, a look at the current rising tide of breweries and distilleries in NOLA. Historically, in the 19th century, the city was awash with breweries, as was every city in America before steel kegs and refrigerated shipping made long-distance beer distribution economically feasible. Remnants of the city’s brewing past can be seen in the elegant old Jax Brewery (now condos and shops, in the French Quarter) and the abandoned Dixie Brewery (which was recently incorporated into a new Mid-City hospital complex). A confluence of small-scale happenings facilitated this boom: A post-Katrina influx of millennials arrived with a taste for craft beers that was cultivated in other cities, and relatively affordable and roomy warehouse space was available in which to set up shop. Among the first brewers of the new fold was Kirk Coco, founder of NOLA Brewery, which opened in 2007. A New Orleans native, Coco had recently gotten out of the Navy and then headed for home to help rebuild in the wake of Katrina and the failed levees. He started drawing up plans to launch a fruit preserves company but made a quick pivot after a night out drinking with friends, when he was surprised to learn that locally beloved Dixie beer, a city staple since 1907, was now contract-brewed in Wisconsin. He started figuring out what it would take to open a brewery and then lining up investors. He found a spot among disused warehouses near an unlovely stretch of riverfront and went to work. He started bottling in 2009 and hasn’t looked back—he’s now producing about fifteen different beers annually, between year-round and seasonal brews. Coco says his sales have flattened somewhat of late compared with his first three or four years, as competitors have set up shop (including two other breweries nearby, on scrappy Tchoupitoulas Street). But he sees the company as an overall plus, a lure to folks curious about the local brewing scene. “The beautiful thing about craft beer drinkers is that they’re promiscuous,” Coco says—they’ll graze and try everything and are especially drawn to new and limited releases. Coco’s NOLA Brewing beers have steadily found their way into the city’s bars and are now nearly as common as Abita (along with two other nearly omnipresent regional brews: Canebrake from Parish Brewing, and LA 31 from Bayou Teche, both located near Lafayette, about two hours west of New Orleans). Among the best-regarded options in his regular lineup are NOLA Blonde Ale and Irish Channel Stout, with NOLA’s sour line (the Funk Series) drawing a cadre of committed fans to the brewery’s large and active taproom, which features around two dozen taps and ribs from McClure’s Barbecue. Beers by Urban South and NOLA Brewing are among those you’re most likely to find in local bars and restaurants—many other brewers tend to be smaller in scale, which means more on-premises and neighborhood oriented. Among them are Wayward Owl, which opened in a renovated theater in Mid-City; 40 Arpent, located near the river, a short drive south of city limits; Courtyard Brewery, a nano-brewery tucked on a side street near the Irish Channel neighborhood; and Second Line Brewing, situated near a popular new urban bike path close to City Park. Other newcomers include Brieux Carré, Parleaux Beer Lab, Port Orleans Brewing (which opened several weeks ago), and Royal Brewery, also recently opened. Distilled spirits in New Orleans have seen nearly as much ferment as breweries over past few years. The city has grown from a single craft distillery—Celebration Distilling, which opened in 1995—to seven active (or close to being active) distilleries. The new crop is hard to pigeonhole, ranging from hole-in-the-wall tiny to distilleries with national aspirations. Celebration was founded by a popular artist, James Michalopolous, who wanted to make rum from Louisiana sugarcane. The company’s flagship Old New Orleans Rum—in white, aged, and spiced versions—is sold and served in shops and bars around New Orleans. The company also found success with the innovative Gingeroo, a bottled low-alcohol, spicy cocktail made with Celebration rum and ginger juice. On the tinier side is Roulaison Distilling, which opened this past spring in the Broadmoor neighborhood, in a complex of buildings that shelter start-ups. Roulaison is run by Andrew Lohfeld and Patrick Hernandez—Lohfeld is an alum of Kings County Distilling, a Brooklyn pioneer. The two are producing small runs of a high-ester, Jamaican-style rum on 26-gallon stills, some of which were acquired used from Kings County. Their debut white rum won a gold medal at the American Distilling Institute’s annual spirits competition this year, and Lohfeld and Hernandez are only getting started—they have a handful of casks aging for future releases. For now, their white rum is available solely at the distillery. Other craft distillers in New Orleans include Atelier Vie, a micro-operation that opened five years ago and makes a unique red absinthe and the award-winning Euphrosine Gin #9, which incorporates nine botanicals, including bay and juniper. The owners of Lula, which opened last February in a former furniture store on St. Charles Avenue, needed to persuade legislators to reshape some laws to do what they wanted to do—open a restaurant with its own distillery, a subtly different approach from opening a distillery with a restaurant. They have no plans to sell other than on their own premises, both via cocktails across their bar and by the bottle. Their offerings include a credible gin, rum, and vodka. Additional distillers include Seven Three Distilling, which also opened in February (the name refers to the number of neighborhoods in New Orleans). The facility is slick and clublike; its first week featured an NBA all-star party hosted by Michael Jordan. Seven Three launched with St. Roch Vodka (made from a redistilled neutral spirit) and has been gearing up to produce a gin (with persimmon and elderflower complementing the juniper), a white whiskey, a rice-based whiskey, both aged and white rums, and a sourced whiskey blended from Irish and American spirits, and then further aged in Cognac casks. Kirk Coco’s getting in the distilling game, too. His NOLA Distilling, an offshoot of NOLA Brewing, began producing vodka late last year, and in April he opened his tasting room in a building about ten blocks from his brewery. The genesis of his distillery was pretty simple, he says: “I got tired of going out and drinking beer. If I had to drink another IPA, I’d go out of my head.” He opted to go with a hearty, sweet-potato vodka, which has a rounder mouthfeel and slightly sweeter taste than most other vodkas. He’s currently producing on a 1,000-liter copper still, with plans to step up production on a 4,000-liter still that he anticipates will be delivered shortly. Local craft distillers are all striving to occupy as much of the limited shelf space in bars around town as they can, with some success. 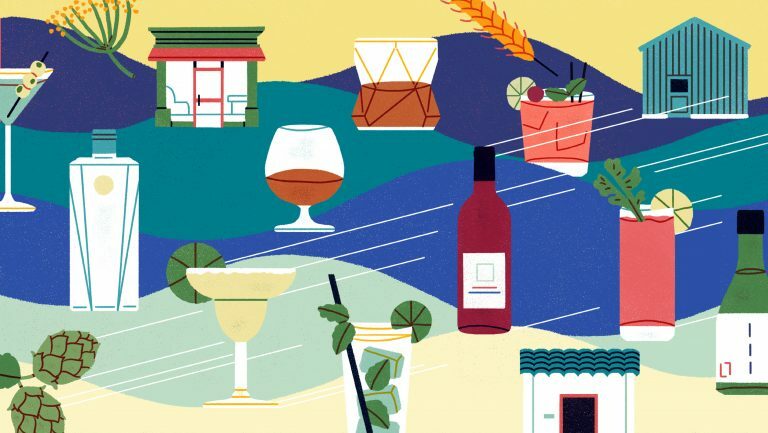 It’s not uncommon to see local spirits featured in a specific drink on a cocktail list — tourists tend to be curious about local brands. But the higher pour costs of local spirits and the intense competition among well-funded national brands to occupy the rail and prominent backbar spots tends to keep local liquor as a sideline or novelty. To achieve this, Porchjam acquired a 24,000-square-foot former industrial coffee roastery (a couple of miles from downtown and the Superdome) and has already invested heavily to prepare the building for production, including the addition of new walls and a concrete floor. Porchjam’s production will commence this summer, and Stewart anticipates the release of its vodka by year’s end, with an aged whiskey to follow later. He expects to launch with a production of “at least” 70,000 cases.